Jerilynn C. Prior BA, MD, FRCPC is a Professor of Endocrinology and Metabolism at the University of British Columbia in Vancouver, BC. She studies menstrual cycles, perimenopause, menopause and the causes for and treatment of osteoporosis. She is the founder (2002) and Scientific Director of the Centre for Menstrual Cycle and Ovulation Research. 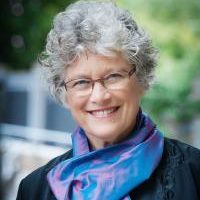 She is also Director of the BC Centre of the Canadian Multicentre Osteoporosis Study (CaMOS) that is studying osteoporosis, fractures and bone density and has followed over 9000 adult women and men across the country for over 19 years, plus about a 1000 youth ages 16-24 for two years. She is an Honourary Alumna of the UBC Faculty of Medicine and was awarded its Distinguished Medical Research Lecturer Award (2002). She was awarded the Ann Voda Lifetime Achievement Award (2011) from SMCR and the Knowledge Translation in Women’s Health Research Award (2017) from BC WHRI.